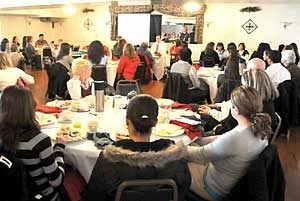 The Child Protection Council is an organization of many professionals and their sponsoring agencies who volunteer their time and skills to provide needed programs for the Fall River Area. The Council’s activities provide opportunities for community services to come together and jointly assess community resources, discuss community needs, and plan programs. The commitment and concerns of the community professionals for the welfare of children and families are the foundation of the council. The Council has representatives from approximately 25 organizations. Meets 1st Wednesday of the month at 10:30am at St. Vincent’s Home.